Steve Brewer, Joyce Hertzoff, and Larry Kilham are just a few examples of the prolific members of SouthWest Writers (SWW) who pound away at their keyboards to produce new work for their fans. Each of these authors represents a different genre, but all have new releases for 2018 and all have interviews posted on the SWW website. Former journalist Steve Brewer teaches in the Honors College at the University of New Mexico and writes books about crooks. He’s published 31 books spread between several series including The Bubba Mabry Mysteries and Jackie Nolan thrillers, as well as a dozen-plus standalones. 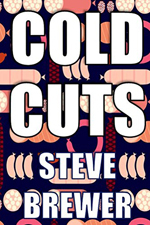 His newest crime novel is Cold Cuts (April 2018). You’ll find Steve at SteveBrewerBlogspot.com, on his Amazon author page, and at Organic Books, his family run used bookstore located in Albuquerque’s Nob Hill area. For more about Steve and his books, read his 2017 interview. Some people in the Southwest love the Rojo brand of Mexican bologna, but it’s illegal to bring it into the United States. Smugglers sneak rolls of the bologna across the border, trying to get rich off the food fad. Enter Lucky Flanagan, such an unlikely smuggler that he’s perfect for the job. But others in the smuggling ring are up to no good, and Lucky is unlucky enough to get caught in the middle of a deadly scheme. Coming up: Though Organic Books is taking all his time and energy at the moment, he has short stories coming out in three different anthologies in 2019. 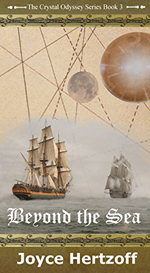 Joyce Hertzoff retired from a profession grounded in fact and science and now writes short and long fiction in a variety of genres including science fiction and fantasy. Her two new releases for 2018 are the YA novel Beyond The Sea (March 2018) and the middle-grade book So, You Want to be a Dragon (April 2018). 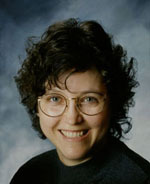 You’ll find her on Facebook and Twitter, as well as FantasyByJoyceHertzoff.com and HertzoffJo.blogspot.com. Discover more about Joyce and her writing in her SWW interviews for 2015 and 2017. The artificial satellite retrieved from the bottom of Lake Dulno points to Fartek as the source of Madoc’s mysterious books. Nissa, her siblings Madoc and Carys, and a group from the Stronghold set out for the journey across the Great Sea to that unknown continent. After stops at Holm Manor and Fairhaven, they sail east on the royal ship and a freighter. Besides the books, the expedition hopes to determine what technology still exists anywhere in Fartek. What people and machines will they find? How much have they preserved? And why haven’t they contacted the people of Leara or Solwintor? Most important, will they be willing to share all that they know with the visitors or anyone else? When the harbor of Lorando is torched by three dragons, Bekka, her little sister Cora and their neighbor Derry devise a plan to keep the dragons away. They will parlay with the dragons, plead with them. But to get close enough to do that, they must transform themselves into dragons. They ask a shapeshifter for help, and he reluctantly tells them the steps needed to take on the form of a dragon. 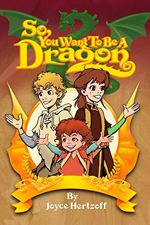 Can the three children achieve their plan to convince the dragons to leave Lorando alone? If they do, how will they shift back into their human forms? Coming up: Joyce has four novels in the works, including the sequel to Beyond the Sea, which will be the fourth and final book in The Crystal Odyssey Series. Larry Kilham is a retired engineer and entrepreneur who has authored four science fiction novels, two memoirs, and five other nonfiction books with topics ranging from creativity and invention to artificial intelligence and digital media. 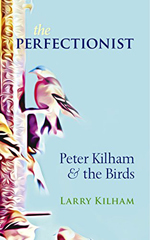 His most recent nonfiction work, The Perfectionist: Peter Kilham and the Birds (June 2018), sheds light on his father who was a designer, an inventor, and a visionary. You’ll find Larry on LarryKilham.net, Facebook and Twitter, and his Amazon author page. For more about Larry and his work, read his 2017 SWW interview. His muse, Leonardo da Vinci, would have been proud. This is the story about Peter Kilham who constantly sought perfection to bring beauty and function to the public through his nature records and bird feeders. His son Larry reveals their many conversations about life and creativity. Peter’s ultimate revelation is that nature is the greatest creator and it is up to the dedicated artist and inventor to reveal nature’s beauty. The story is told with humor and insight by Larry Kilham who is an accomplished inventor and business person. There are many insights and life lessons revealed for aspiring inventors and entrepreneurs. The book includes many illustrations. A Note from Larry: For about the last six months I have been writing poetry because I think it is a better medium for my current experiences and thoughts, and because many of my readers have requested it. You can read most of my current poems on my website’s poetry page. I also post on allpoetry.com.